The Oceanside Community Club is available for rental year-round. Winter weather on the Oregon coast means wave and storm watching, and sun breaks in between. Please read the Rental Rules of Use. If you have any questions or concerns about renting the building or would like to make reservations, please contact us – address and numbers below. 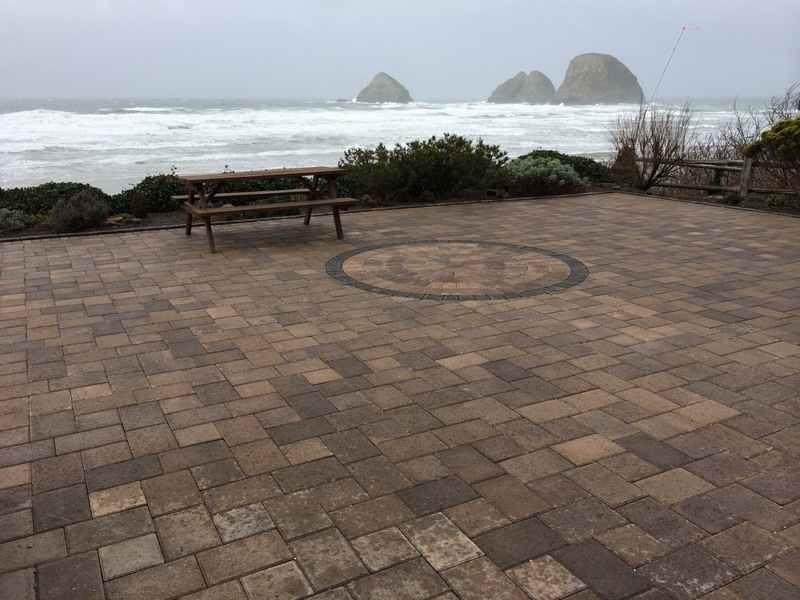 The breathtaking, unobstructed view from the patio looks from Three Arch Rocks (right photo) south to Cape Lookout. The large patio is bordered by low landscaping. The hall has lots of natural light (left photo) from windows on the east and north sides. The west end has a large brick fireplace with 2 sliding doors on each side looking out onto the patio and the ocean. The main hall is 24 ft x 41 ft with adjoining kitchen, 2 bathrooms, and storage rooms. 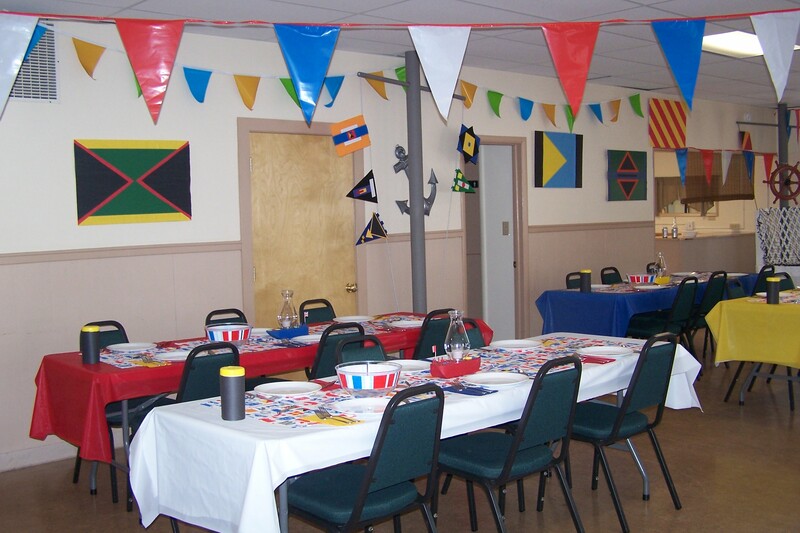 Rentals include 10 eight foot long folding tables, 80 stackable chairs, a banquet-style 50-cup coffee maker, and serving utensils. The hall is located at 1550 Pacific Avenue, Oceanside, OR 97141. The Cleaning & Damage Deposit amount to be refunded is based on the condition of the hall after rental use. Up to $150 of the deposit is refundable. Phone Diana or Terry at 503-369-3160. Please call between 8 am and 4 pm Monday through Saturday (Pacific time zone). You can also email us at info@oceansidehall.com with questions about availability or the facilities, but please call for any urgent matters. To rent the hall, download and fill out the Rental Agreement and Rules of Use PDF document, print it, and mail the first page back to us with your reservation payment. Confirmation of date(s) requested will be made upon receipt of full payment. See the Rental Rules of Use for cancellation and reservation change policies. The grassy lot south of the Community Club can also be rented from its private owner — contact info available on request. * Upon approval, OCC may offer a discounted rental rate to qualified local users and non-profit organizations. Complete this questionnaire. NOTE: The availability calendar is usually “up to date”, but contact us for actual availability. Copyright © 2019 Oceanside Community Club. All rights reserved.